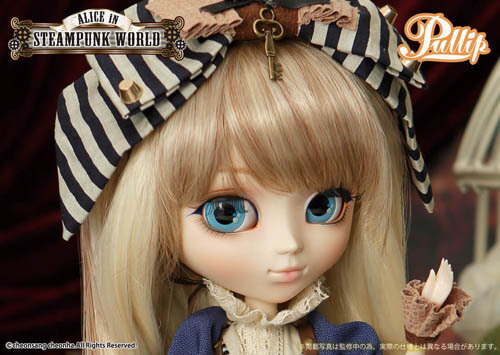 Pullip Alice Series + Pullip Steampunk Series = ? 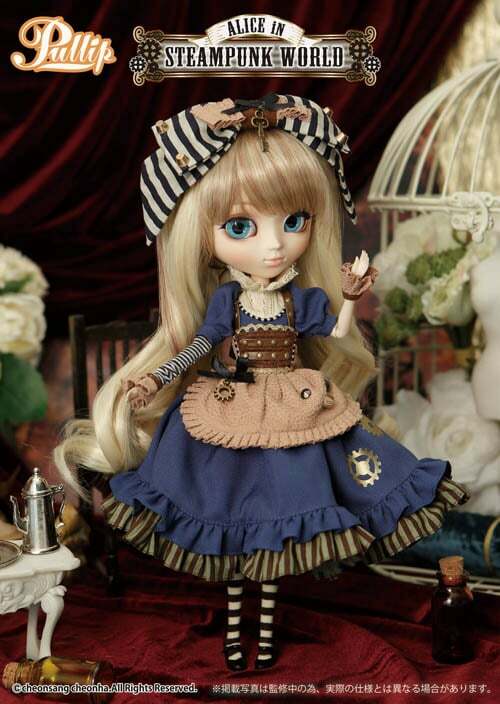 Alice In Steampunk World, of course! Are you in love with this girl? If so visit eBay. 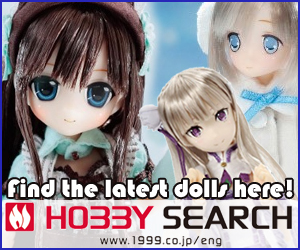 On May 7, 2015 Groove Inc posted images of their Spring Doll Show 43 booth. 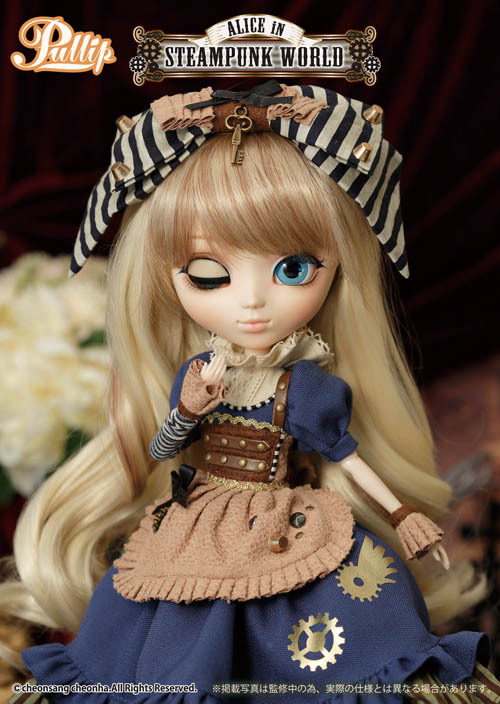 On display was Alice In Steampunk World. 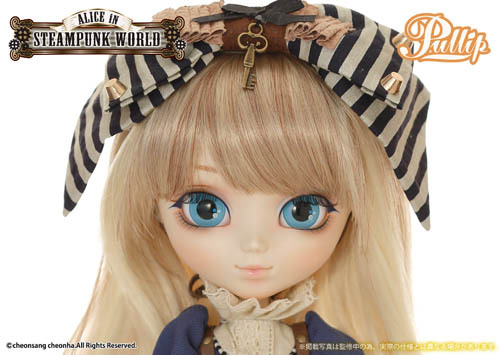 On May 8, 2015 Japan hobby shops began accepting pre-orders for Alice In Steampunk World. 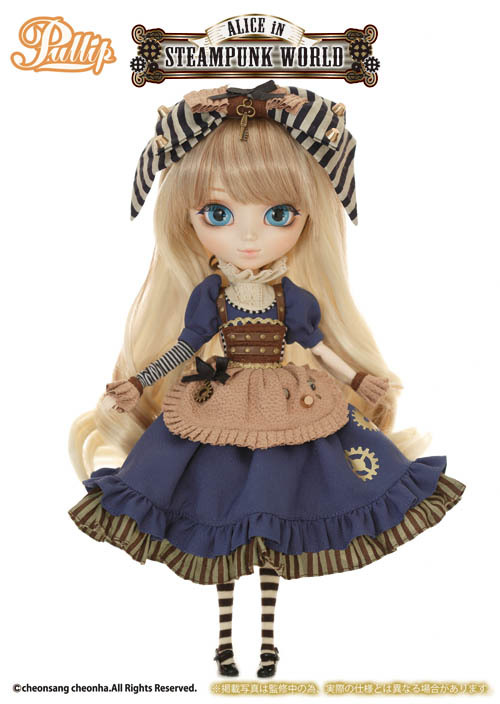 The Pullip Alice series & Pullip Steampunk series have been done many times before so, it's only nature for Groove Inc. to combine 2 of their most popular series, right? For me these variations, alternatives or whatever you want to call them have lost their charm. 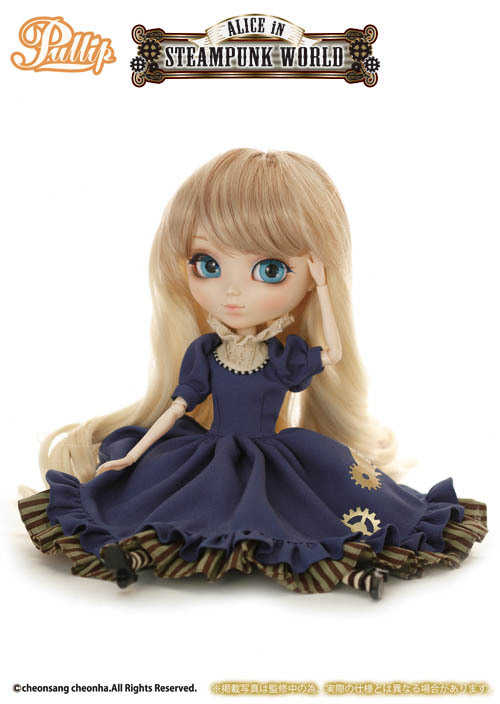 But I’ll admit I’m a bit jaded with these types of Pullip dolls (variations/alternatives) however that doesn’t mean newbies or fans of Alice In Wonderland or Steampunk won’t find this series lovely and worthy of their collection. 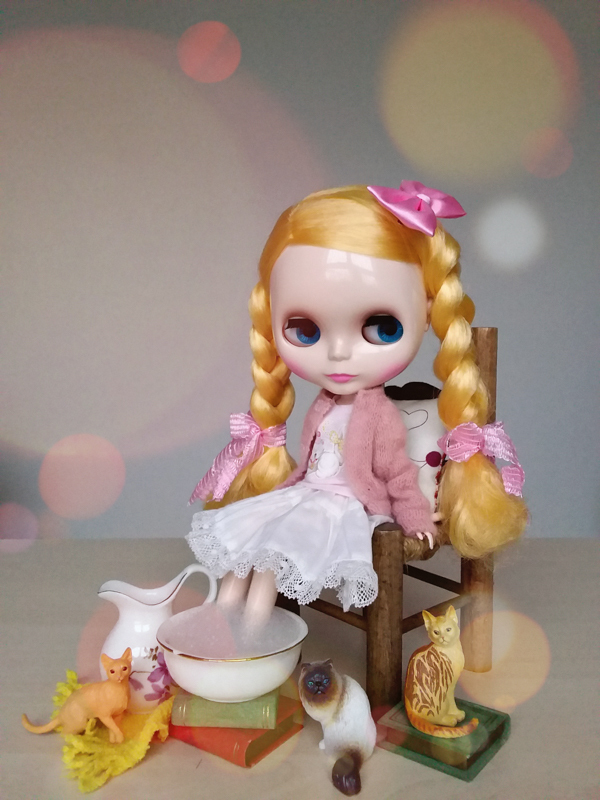 Granted, it’s kind of difficult not to like an Alice themed doll (I did say kind of difficult but not impossible). 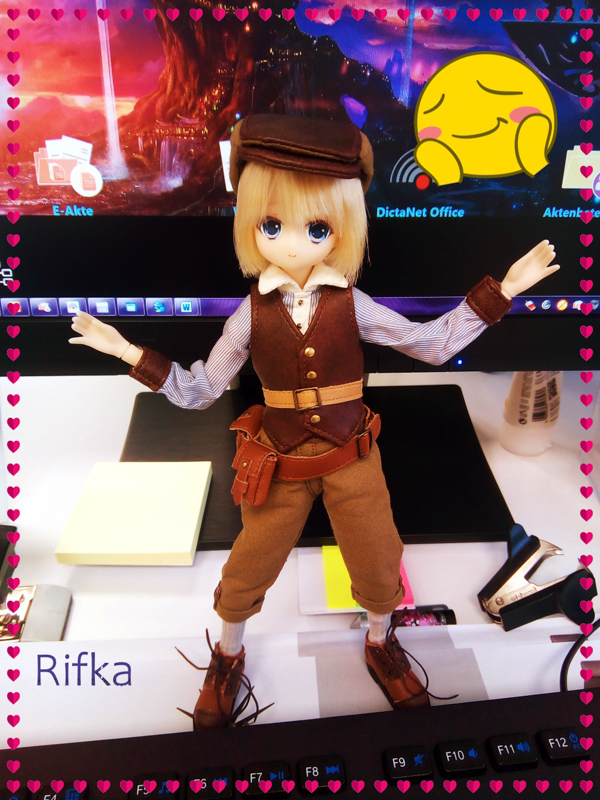 I really like the dress without the apron. 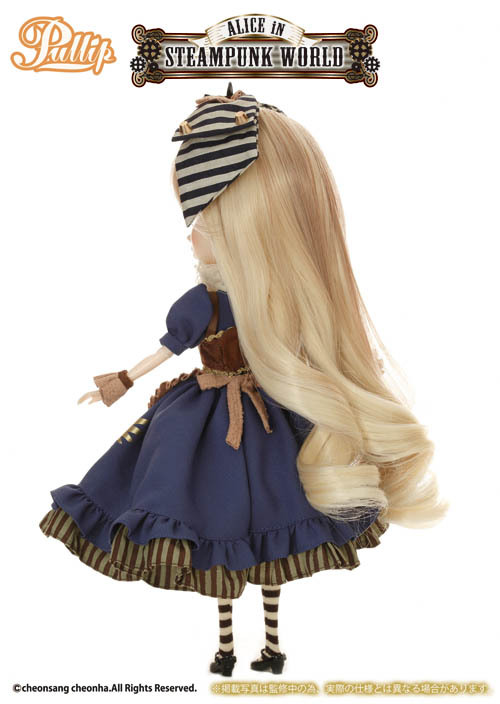 The color combo is quite nice (I’ll have to see about the quality but I’m a wee bit tempted to buy the doll for the outfit alone). As far as everything else . . . (silence) Let’s move on to something else. 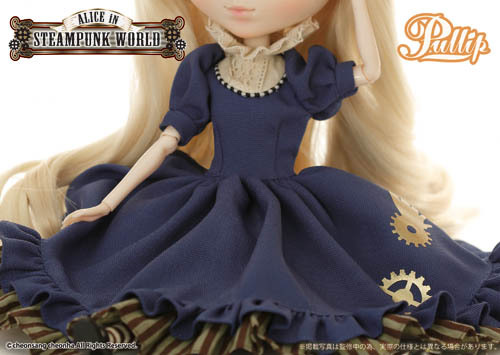 I didn’t expect the Alice In Steampunk World announcement so soon after appearing at Spring Doll Show 43 and on to top of that she's a June 2015 release. 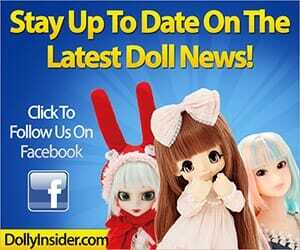 (Talk about someone whipping out a doll quickly. That’s not a complaint just an observation). 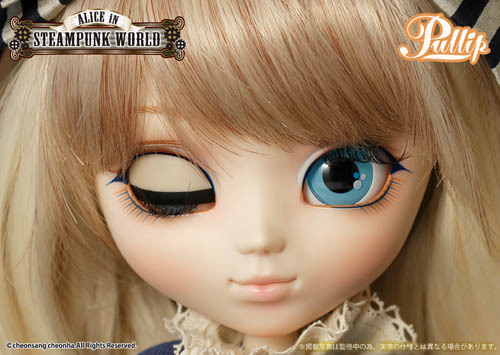 I may be getting a head of myself but I wonder when the other Pullip and Dal featured at the doll show will make their world début? Look at that, we are at the end. 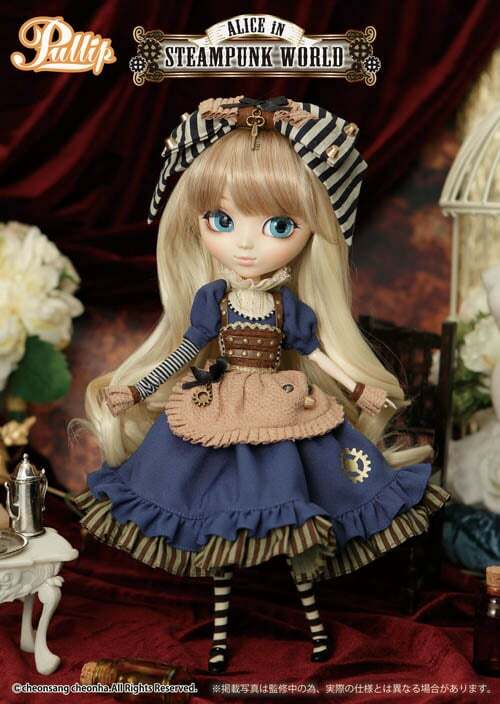 What are your thoughts/feelings about Alice In Steampunk World? Leave a comment in the box below.